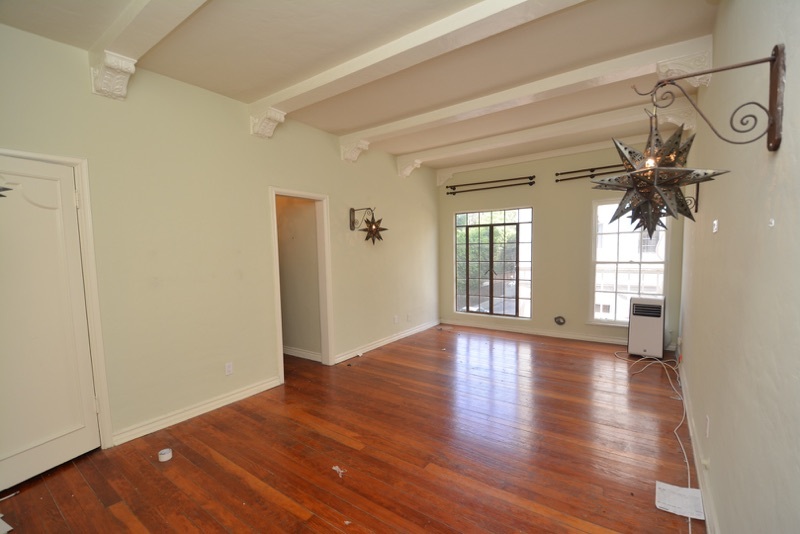 Small but great single/studio in the historic Chateau Rossmore, 1934 French-Deco property in the Larchmont/Hancock Park district. Walk to Paramount Studios, Wilshire Country Club and Larchmont Village. Minutes to Beverly Center, The Grove, Farmer's Market, Design District, Hollywood-Vine Entertainment Dist, West Hollywood, Hollywood and Beverly Hills. Street parking only, future parking when available, no guarantee of timing @ $100. Lounge for meetings and a small work-out room. Laundry on premises. Roof deck with city view. 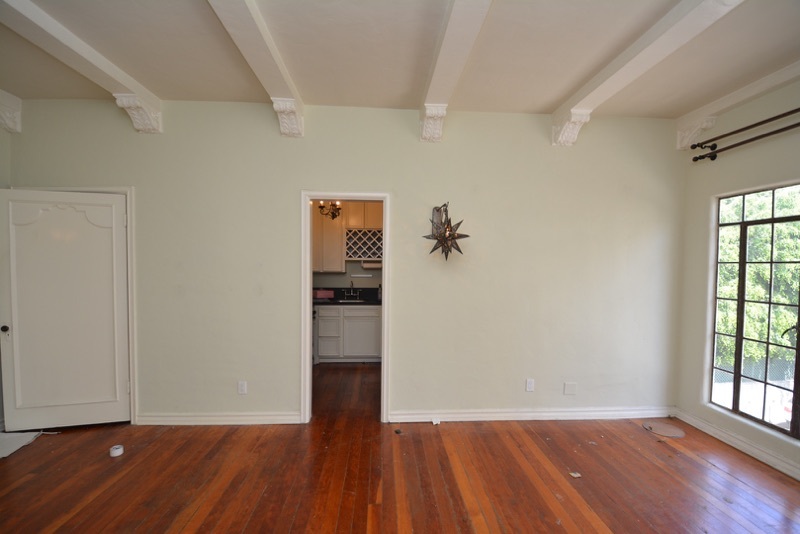 Hardwood floors, lower-level, large north facing windows, high beamed ceilings, small newly remodeled NY style kitchenette with stove and fridge, granite, new cabinets. Full deco-tiled bathroom with separate stall shower and tub. AC unit. Elevator. Note: some pics are from the near identical unit in same property, some materials/colors/finishes may differ.